Home News The Fish Are Swimming! The Upper Cook Inlet Salmon fishery is underway. With four days already fished the season looks like it has the potential to be a good one. The Kasilof River already has a return of over 125,000 sockeye, which is the highest return this early in the season ever recorded. One never knows how the season will end, until a while after it's over and the cannery actually pays up, but it's always fun to get excited. Prices tend to be highest for the first few deliveries, until the market gets flooded with fish, so we will wait a little before putting up our top quality direct market fish. 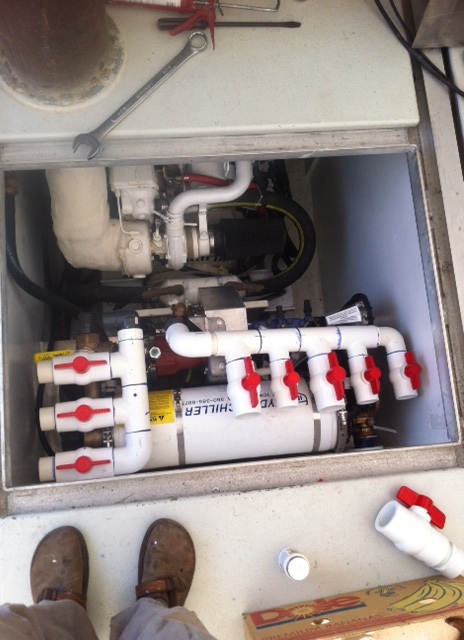 On the quality front, Kyle has spent the last few weeks installing a Refrigerated Salt Water (RSW) system. 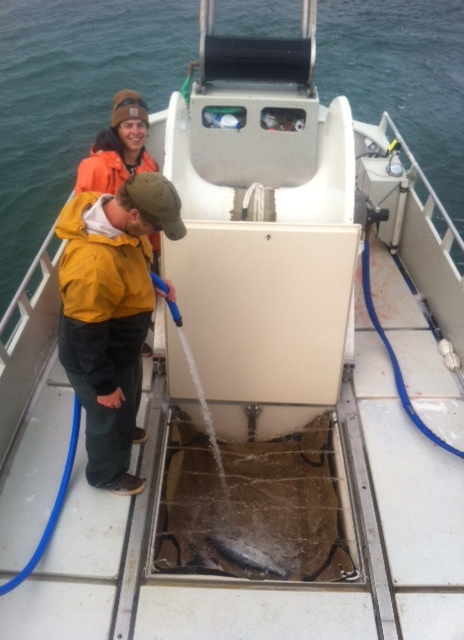 With the RSW we are able to pump chilled sea water (32-35 degrees) into the fish holds to constantly keep the fish cold. This means no more ice and the constant temperature should even improve the quality of your fish! 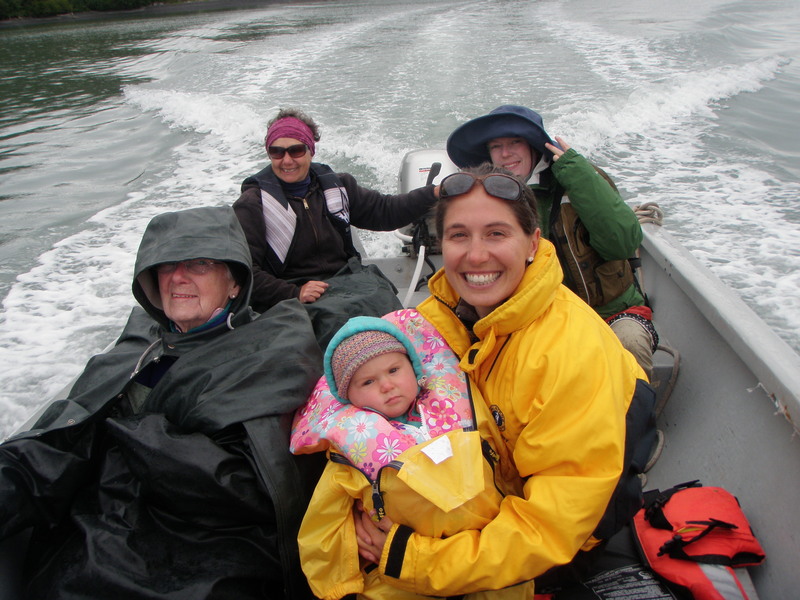 On the fun and family and historic front, we spent last week across Cook Inlet at Snug Harbor celebrating Gramma Margie Mullen's 93rd birthday and Summer Solstice with 30 family members. Snug Harbor was one of the biggest canneries in Cook Inlet from about 1930-1970. What a stunning place! It was a great location for the first two fishing openers because it is down near the southern line of the fishing boundary, where the early season fish first show up. 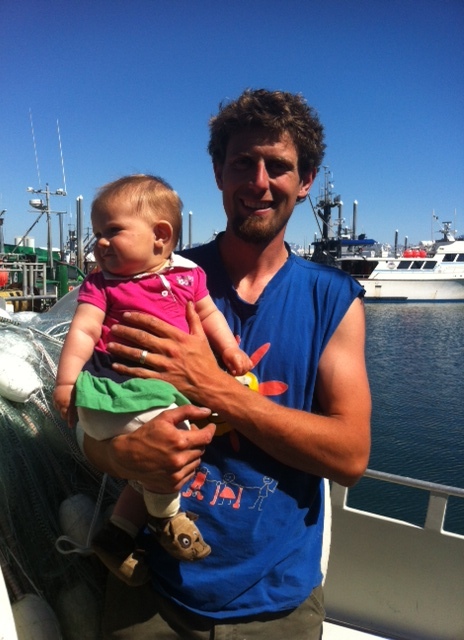 The bear viewing, clamming, paddling and fishing were fantastic- especially with such great company. Kyle, JP and Jake are finishing up two back to back days of fishing. Extra days of fishing, beyond the scheduled Monday and Thursday schedule, are allotted based on the number of fish up the river. Yesterday was good early season fishing for the corridor (a restricted area near the beach) with over 300 fish caught and the mid-day report for today was pretty good with about the same number of fish. Hey all, this Kyllikki checking in. 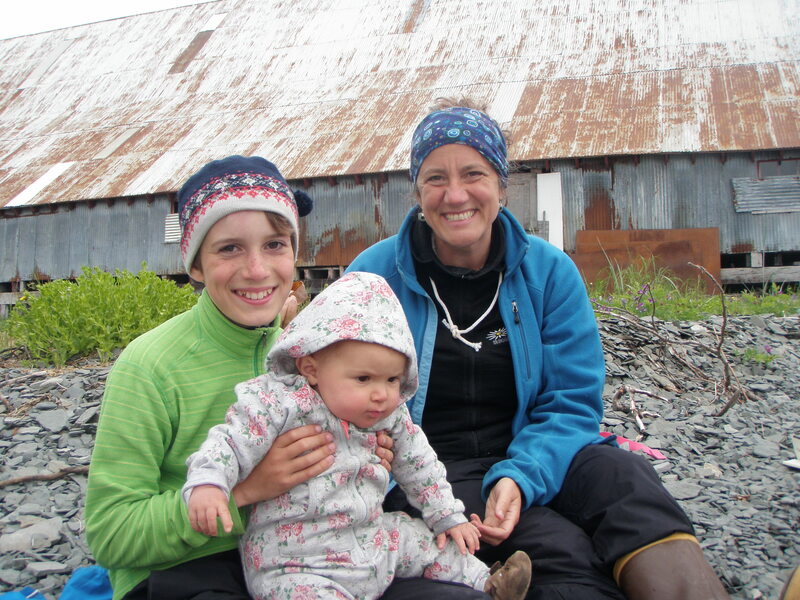 Ms Margie you are amazing…Erik n kids should be in Kasilof now so hugs all around. Gun’nel fishing runs, be safe!